Samsung is going from strength to strength in terms of its smartphone sales, recently announcing record breaking figures for its flagship, the Galaxy S2. The Galaxy range now has several different models, suiting different types of user and standing at various price points. In this article, I will look at a couple of the handsets in the range. 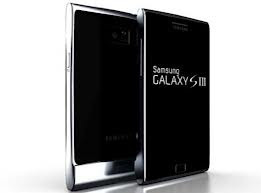 If you are at all interested in technology and gadgets, chances are you have heard of the Galaxy S2. This handset is offers premium technology in virtually every aspect of its spec list. It boasts the like of a dual-core processor (1.2 GHz ), 8 mega pixel camera with full HD video capture, and the latest version of the popular Android platform. It is also renowned for its high resolution touchscreen, which makes it ideal for multimedia use. The hardware on offer makes it an ideal showcase for the Android Market, as users can take advantage of over 500,00 apps which can be downloaded directly to the handset. The Galaxy S2 was recently announced as the manufacturer's best selling smartphone, and is fast becoming the handset of choice for those who are looking for an alternative to the iPhone 4S. The Samsung Galaxy Note is something of a unique concept. It is something of a hybrid of a smartphone and a tablet, with a 5.7 inch screen with stylus pen functionality and a pixel resolution that stands at a whopping 800x 1280. It also offers super fast internet connectivity via 3G and Wi-Fi connections, the same 8 megapixel camera as the Galaxy S2, and even more processing power at a massive 1.4 GHz (dual-core chip). Therefore, expect super fast performance in every aspect from the responsiveness of the touchscreen to the loading and operating times of applications. The size of this device may put off some user who may be more suited to the Galaxy S2, but it will be of benefit to many others. The large screen and advanced technology make this a unique, top of the line device, seen nowhere else in the market at the time of writing. Similar to the Galaxy S2 in most respects, the Samsung Galaxy R offers a slightly more affordable alternative. The main difference between the two is that this handset has a 5 megapixel camera rather than the 8 megapixel unit found on the Galaxy S2. It also has slightly less processing power, with a 1 GHz dual-core processor. To put this into perspective, this is the same amount of processing power as the new iPhone 4S. Put it this way, if the Samsung Galaxy R was available just a year ago, it would have been the most advanced smartphone available at the time. Unless you are a technology enthusiast who is familiar with the details of this technology, the financial benefit may make the Galaxy R a more appealing device. All of these handsets run the Android OS, and have the TouchWiz UI, which is Samsung's custom Android interface. As you can see, Samsung certainly likes to spoil its potential customers for choice; with top of the line handsets like the Galaxy Note, a flagship Android smartphone in the Galaxy S2, and a slightly more affordable version in the Galaxy R. There are even more choices in the Samsung Galaxy range, which cover the budget, compact and Qwerty keyboard alternatives, which I will cover in another article. All of these handsets are available now on various UK networks, and some are currently offering the handset for free on selected tariffs.